Cats are known for acting a bit strange. It’s part of their charm. But their behavior may not be as odd as it seems. Most of those weird cat behaviors actually have reasonable explanations. 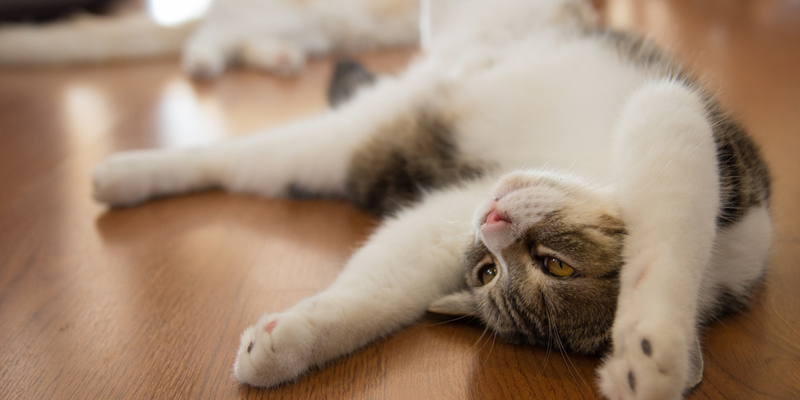 Let’s answer a few of those common cat behavioral questions. 1. 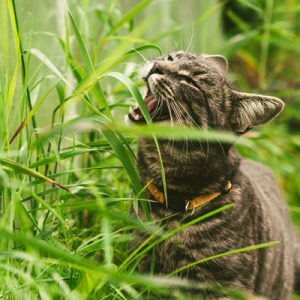 Why do cats eat grass? 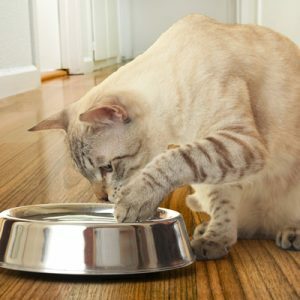 Cats’ digestive systems have trouble breaking down vegetable matter, so they may chew grass to help themselves regurgitate this indigestible matter. Grass also contains folic acid, which helps cats produce the proteins that move oxygen through their bloodstream. 2. 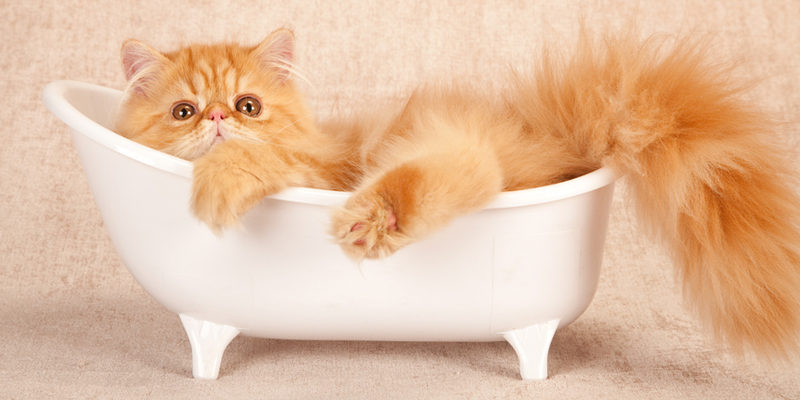 Why do cats paw at their water? Cats are a bit picky and tend to like their water fresh, so pawing at their water can make it seem like it is fresh, running water. Some cats also love water, contrary to popular belief, and just want to play. 3. Why does your cat sleep on your head? 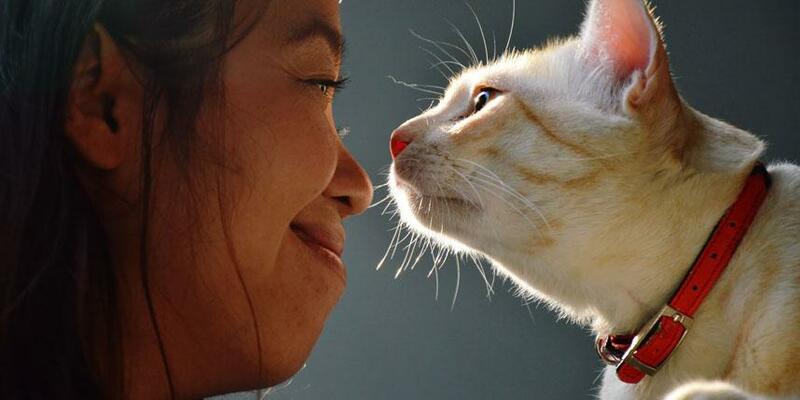 There are a few reasons why you may wake up to find a cat inches from your face. The first is that a lot of body warmth is released through your head, so your cat may have wanted a toasty warm place to lay. Another is that the scent of your hair may be comforting to your cat. 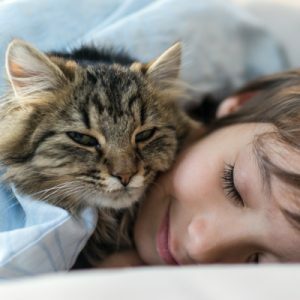 And lastly, if you have restless legs at night, then your cat may try to avoid getting displaced from their sleeping spot by staying near your head. 4. 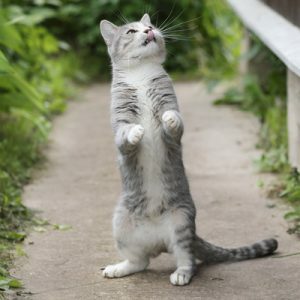 Why do cats stand on their hind legs? Cats actually stand on their hind legs as a survival tactic. By appearing to increase their size, they are able to look more intimidating. But they may also just be reaching up for a head boop or a treat. 5. 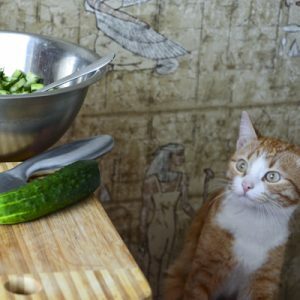 Why are cats scared of cucumbers? This has been a common question ever since an internet fad in which people secretly place a cucumber behind their cat, causing it to jump with fright when it turns around. Most likely, this response has nothing to do with the cucumber and more to do with being surprised by something that wasn’t there before. Hopefully now those weird cat mannerisms you’ve always wondered about will make more sense. But it’s the weird behaviors and moods that make cats such interesting housemates.